Nestling at the foot of the Arera Hill, the Club was constituted shortly after the formation of the new state of Madhya Pradesh in 1956 with Bhopal as its capital. The building of a new township began in the virgin area south of the old city of the princely state of Bhopal. The new capital complex had to provide for residential accommodation for the large number of civil servants that moved to the new administrative headquarter from the former capitals of Central Province in Nagpur, of Madhya Bharat at Gwalior-Indore and of Vindhya Pradesh at Rewa. mainly as an institution for the benefit of the government servants only. Appropriately the Chief Secretary of the State Government was designated as the Club’s ex-officio President. 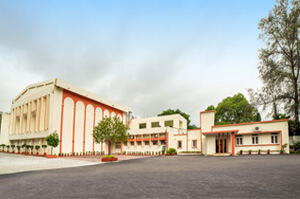 With the expansion of the capital complex to include the business and commercial sectors in new Bhopal, the Club was opened to the private sector which now contributes a third of its membership. in attendance. There are two card rooms and a billiards hall. New additions consist of a spacious bar with a wide choice of wines and hard liquors at low prices, and a restaurant catering decent food cooked in the Club’s well furnished kitchen at reasonable prices. There is also a lounge with TV and a range of weekly journals subscribing to various tastes. 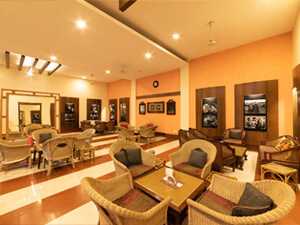 The Club has a special arrangement with the nearby Prakash Swimming Pool for the use of its members. It hosts two monthly dinners for its members and their guests, accompanied by musical soiree or housie. 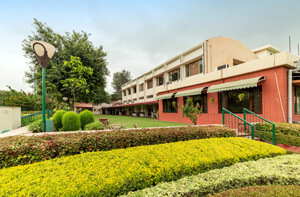 The Club is surrounded by extensive open space, green lawns and gardens and a large parking area. It has an ambitious building programme to construct a squash court, a swimming pool and residential rooms. 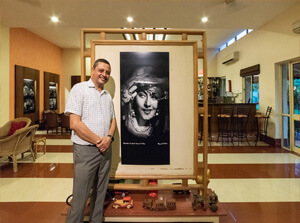 It also exhibits classics of foreign movies in its premises every week. presided over by its president, the Chief Secretary. The Managing Committee consists of nine members of whom two-thirds are drawn from among the Government officials while one-third belong to non-governmental category. Apart from the Managing Committee, there are functional committees to deal with specific subjects such as Finance Committee, Works Committee, Sports Committee, Food and Beverage Committee and Events Committee. The functional committees are headed by senior members of the Club and consist of representative sections of the Club’s membership. Government of MP, and the Honorary Secretary is Shri Waseem Akhtar, IAS. 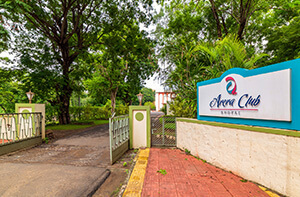 Arera Club is currently affiliated to Clubs in Gwalior, Indore, Jabalpur, Jaipur, Jaisalmer, Jodhpur, Nagpur, and Siliguri. It will seek affiliation with major Clubs in metropolitan towns after the current phase of renovation and upgradation of facilities has been completed. The Club has a corporate agreement with Prakash Swimming Pool for its members to use the swimming facility.